Renting Streets of Rage was my religion. Every Saturday, my parents would allow me to rent a single game back in. Streets of Rage was the one game I kept returning to. The music, The graphics. But most importantly, the gameplay. Streets of Rage on its core is a game about positioning, playing around with the Ai, and if you have a friend there are few games that are as fun to just do couch co-op. Are you acquainted? Good. Let’s move on to the Art of Streets of Rage! Originally, Streets of Rage (AKA Bare Knuckle) was a joint game made by Norioyoshi Ohba’s crew with E-Swat’s team. The name of the project was “D-Swat” – The “D” stood out for Dragon. More information about SoR formative pre-production can be read over in this great article here. As for the game itself, it’s mostly supplanted by its sequels. Its simplicity has charm and the soundtrack still holds up. As expected from Yuzo Koshiro. The fan favorite, Streets of Rage 2 (as you can see from the “Making of” youtube video linked below) was unique in the sense that in spite of being a sequel for a relatively popular game with a massive publisher on it’s back, it was a highly authorial job, with its development having quite the freedom to work on the game as they see fit. As you can see by the concept art bellow, the pixel art followed close by the original designs. Concept Art – Provided by Ancient Co.
I’ve seen some circles dismiss Streets of Rage 3. Yet there is so much to love from this entry. It might not have revolutionized the genre like the second entry did, however in terms of presentation it’s the best one in the trilogy. With a distance of two decades and without any of the authorial energy from the second entry, we arrive at the newly announced Streets of Rage 4! Very little is know about the project currently. 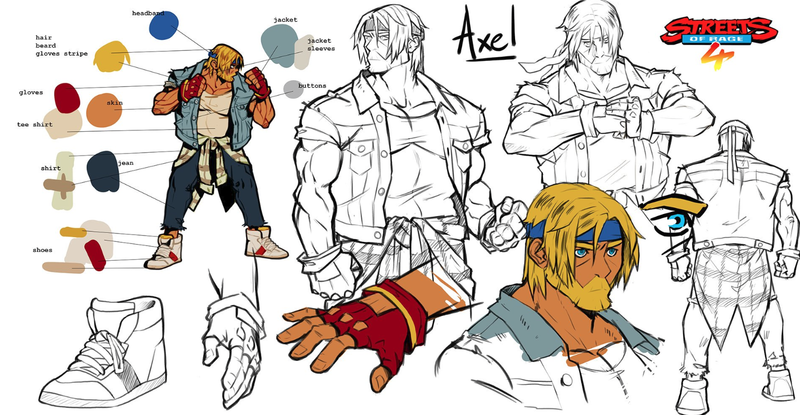 However, why not take a look at some Interesting concept arts and curiosities for canceled attempts at Streets of Rage 4? Check’em below. Fingers crossed the Dontemu’s entry is the Streets of Rage 4 we all deserve.